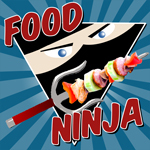 Yup, this is the one I made before the fair broadcast. There's leftover Aloo Chat from Sizzling Tandoor (aloo chat is a spicy potato salad served cold), carrots, edamame, a radish surrounded by arugula from Ridgeview Farms, steamed broccoli, and tamagoyaki omelettes with more arugula. 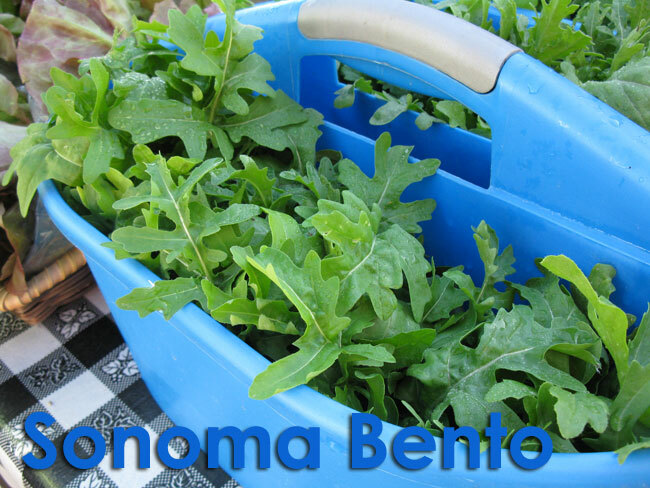 I picked up the arugula and radishes while on a visit to the Santa Rosa Original Certified Farmers Market with Jenn of Bentobird. 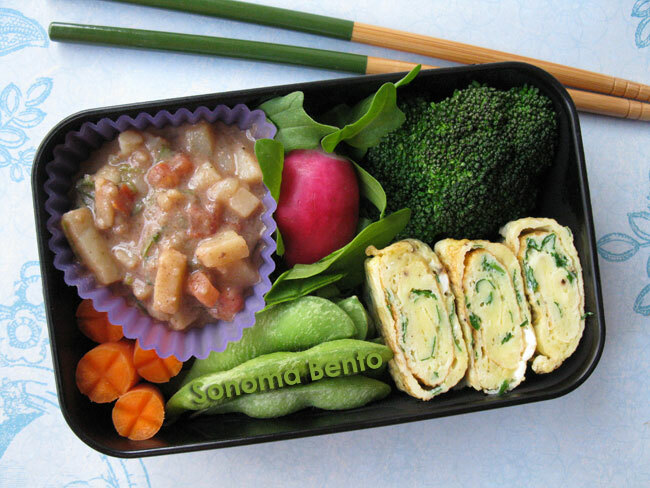 And this is the less artistic morning show bento! I took this pic with my cell phone. 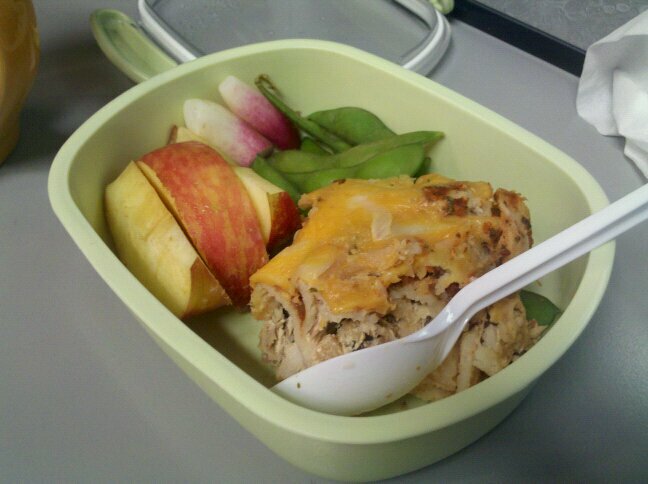 Apple slices, more radishes from Ridgeview Farms, edamame, and leftover homemade chicken enchiladas. 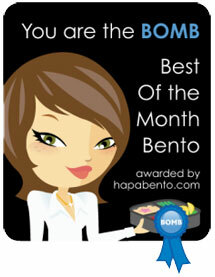 This bento is quite representative of my bentos this week. I made them the night before, often with leftovers, threw the frozen edamame in to fill spaces and up the protein content, and called it good. Here's the arugula from Reenie at Ridgeview Farms. She had really tasty arugula and wonderful sweet peas. 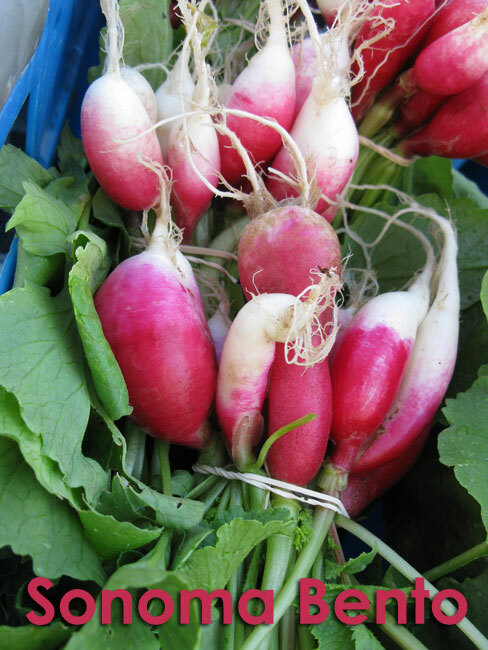 And this is the bunch of french breakfast radishes I picked up from Reenie during my trip to the Santa Rosa Original Certified Farmers Market with Jenn of Bentobird. Thanks Babykins! The weather (and my snoring hubby) makes it hard to sleep, but at least I can sleep in this week!